No, haven’t been spinning. I have been braiding and thinking about projects new and old. I am aware from my visits to Ravelry that the great annual Tour de Fleece is underway and, while I am not participating, I was motivated by all the excitement connected with the event to dig through the cupboard and pull out some old handspun projects which I have woven with the alpaca and llama fiber you can see above. If you are wondering what’s in that bowl, it’s llama jerky. 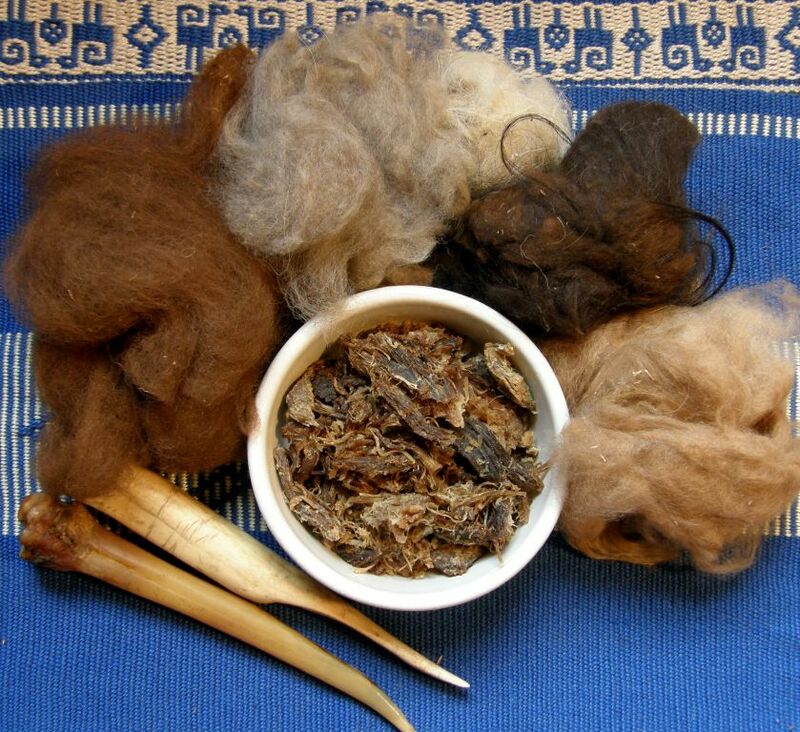 I had bought that llama fiber while wandering around a tiny country settlement in Uyuni, Bolivia back in 2002. It was coarse, dry and brittle but I knew no better. I was thrilled just to have it as it is impossible to obtain down in the jungly lowlands where I live. I had already learned to spin but I think that spinning that rough llama fiber was the best spinning training I could have had. It was awful to card. I had a wheezing attack each time I pulled the dusty stuff out of a bag and the memory of the smell of that dust still turns my stomach. The first things I wove with that spun llama fiber still sit framed on my wall. It had been such a business that I never thought I would do it again! I dyed some of my yarn made from the llama fiber with cochineal and plants. I ended up making quite a few pieces of coth which I sewed into shoulder bags and pouches. These are the things that I have been pulling out of my closet. They were obviously made in the days before I started weaving tubular bands and embellishing my pieces …there is not a single tubular band or tassel to be seen! The long pouch had some forgotten tools in them. It was nice to unzip it and discover those. I decided that this whole lot needed some sprucing up. The black bag will get a new strap and have its flap edged with something decorative. The brown bag could also do with a more interesting strap. I decided to edge the long zippered pouch with a tubular band. This would be my chance to apply the band that is used to edge cloth in the community of Chahuaytire. Although I have sewn this kind of tubular band to pieces of cloth in samples as you can see above, I had never used it in a real project and I had not woven it with wool. 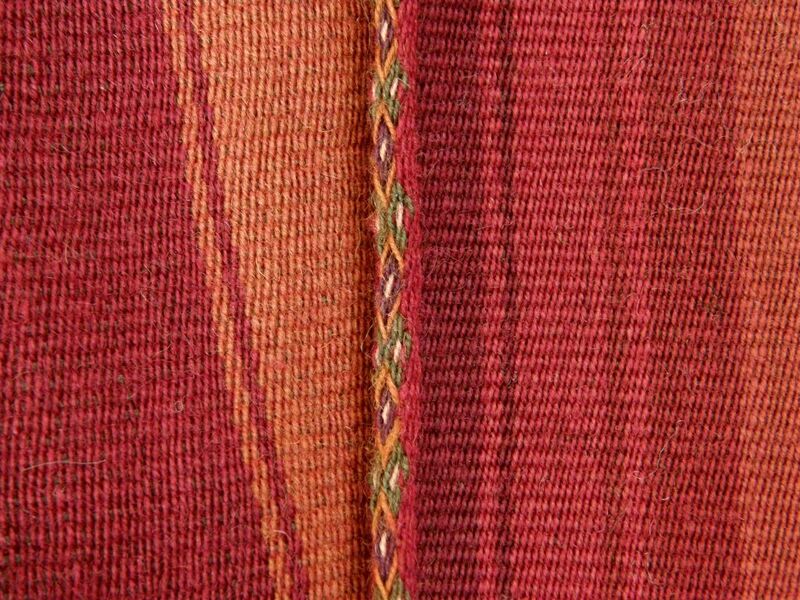 Cloth from Chahuaytire, Peru edged with a tubular band in beautiful natural dye colors. When I visited Marijke van Epen in The Netherlands in 2012, I worked with her on figuring out this band from a picture. Almost immediately after that visit, I went to Peru and was lucky to be able to watch one being woven and buy a warp in progress to see how it was set up. While I have seen the patterned tubular band on the right, which I learned in Chinchero Peru, also woven here in Bolivia, I have never seen what I will call the ”Chahuaytire style’,’ on the left, here in Bolivia at all. One of my weaving teachers in Bolivia, Maxima, has an older sister, Narciza, who knows how to weave the Chinchero style of tubular band and frequently attaches it to the edge of her woven coca-leaf bags. Dorinda, who works with Maxima, recounted one of Maxima stories in which she told of how her mother did not know the figure on the tubular band to teach them and so bartered corn to have a neighbor teach her oldest daughter, Narciza. The neighbor had recently moved to the area from Oruro (also in Bolivia). Maxima was not interested in asking her older sister to then teach her the pattern as Narciza was in the habit of giving her a smack when she made a mistake. 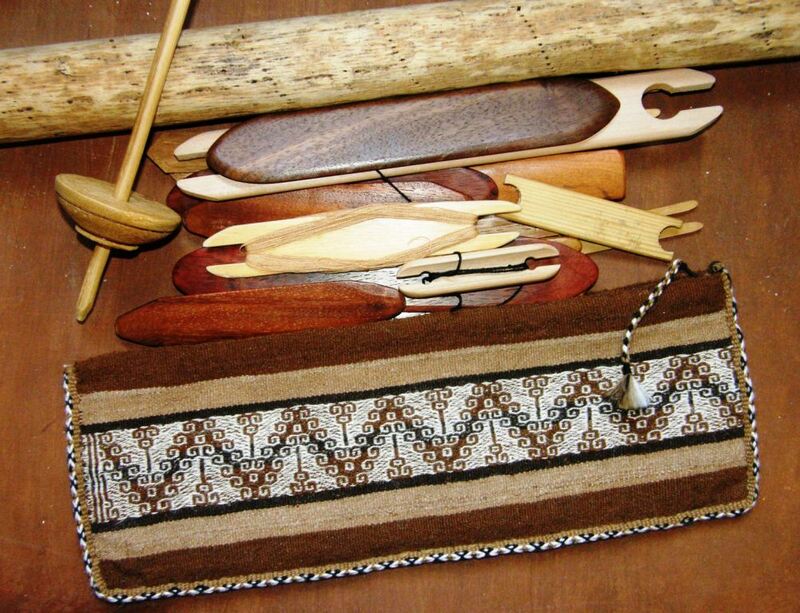 I always wondered if my weaving teachers sometimes had the urge to give me a wee slap when I was learning! I can remember their frustration with me back in 1996 when I broke my warp threads while trying to operate the heddles. Maxma is currently weaving items for her husband in his new role as Mayor of Huancarani. 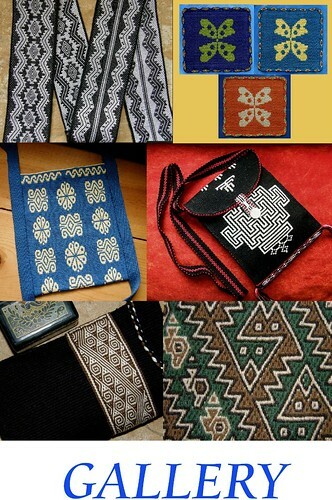 There are several woven items that he and Maxima, as wife of the Mayor, are required to have. Here Maxima is weaving a ch’uspa for her husband with columns of figures in double weave. The woven pieces need to be bright and festive and so she is using store bought acrylic rather than her own handpsun and naturally dyed wool. 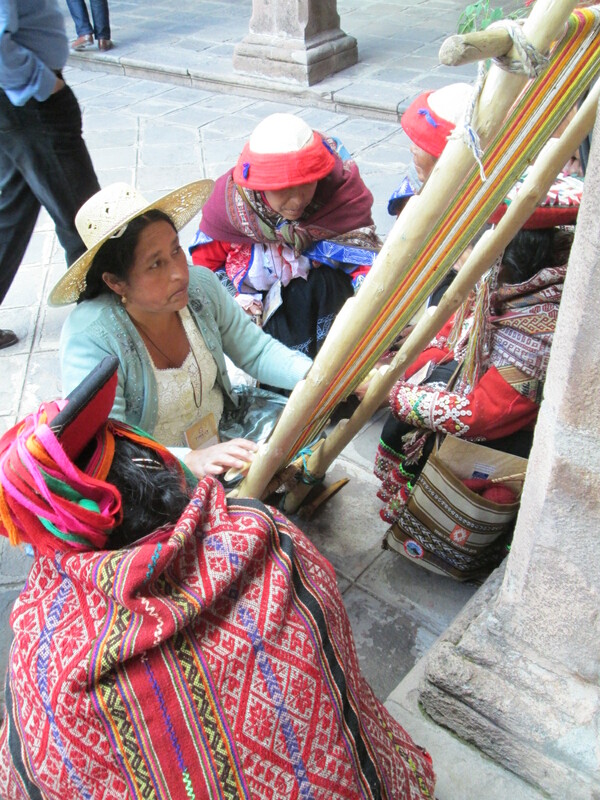 And so, it was only in 2013 when Maxima had the chance to attend the Tinkuy de Tejedores in Cusco, Peru, that she had the opportunity to learn to weave the ñawi awapa pattern in much the same way I had in 2010. 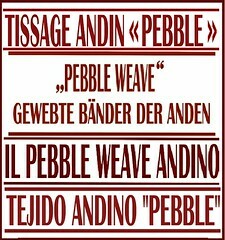 However, Dorinda has since told me that Maxima seems to have forgotten how to weave the ñawi awapa band since returning to Bolivia. 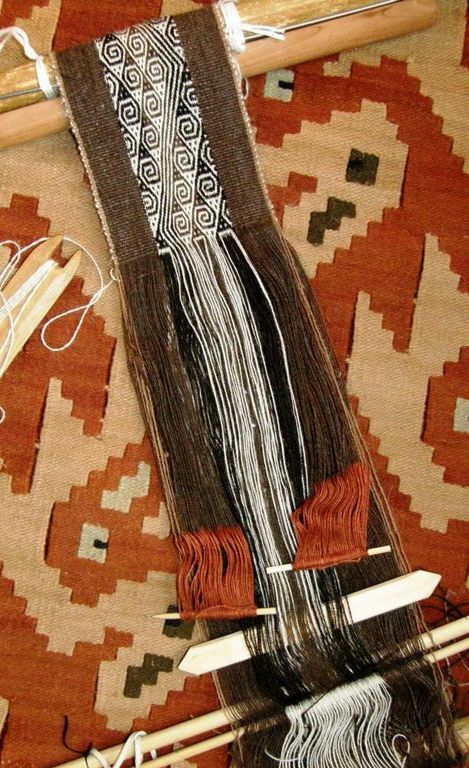 She sends her weavings to her sister if she wants them to be edged with a ñawi awapa. As with everything new like this, if it is not immediately put into practice, it can easily be forgotten. Ask any of my students! One day I hope I can go out to Independencia and help refresh her memory. 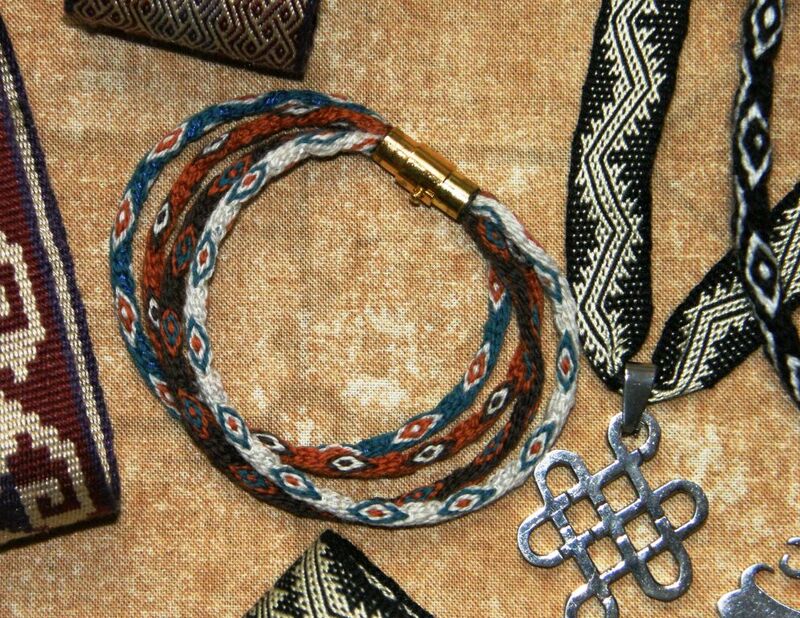 I have had so much fun with the ñawi awapa since learning it, attaching it to so many things and, most recently, using it for jewelry. But, back to the ”Chahuaytire style”. I enjoyed weaving and sewing it to the edge of the pouch. It came out beautifully in wool. I added a braid to the zipper and I think the bag looks a lot more interesting now. There you can see all the swords and shuttles that I will be storing in it. 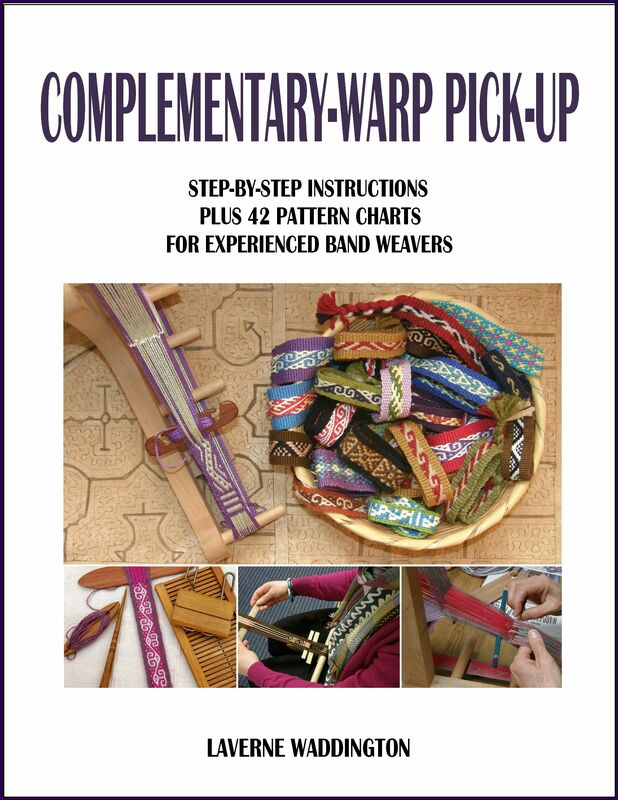 Not all tubular bands need to have pick-up patterns. I have often woven and attached them in just one solid color and have also used ”threaded-in” patterns, that is, ones that are created by the order of the colored threads in the warp rather than with pick-up. These two pouches have solid color plain-weave tubular edgings. 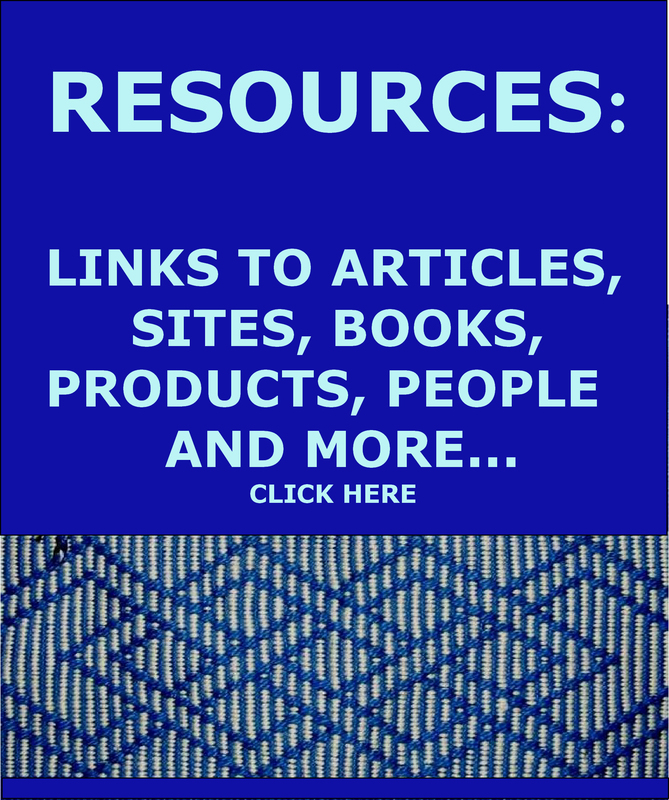 The blue and green piece has a tubular edging with a simple thread-in pattern. The pattern was warped off center to appear on the upper face of the fabric and show as solid green on the reverse. 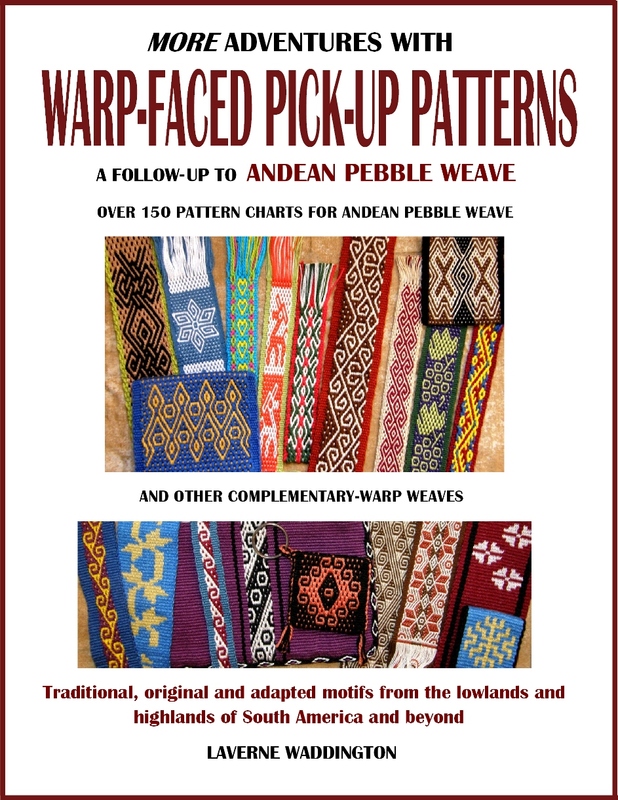 Maxima often uses simple Andean Pebble Weave patterns in her tubular edgings using two sets of heddles and I have also seen weavers in Pitumarca weave tubular bands with the pattern set up in multiple heddles. 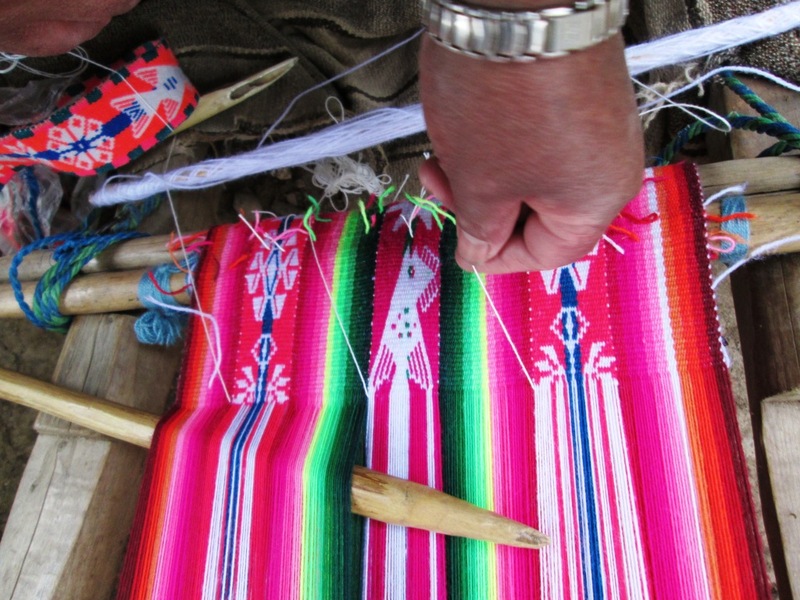 A weaver from Pitumarca weaving and sewing a tubular band edging. 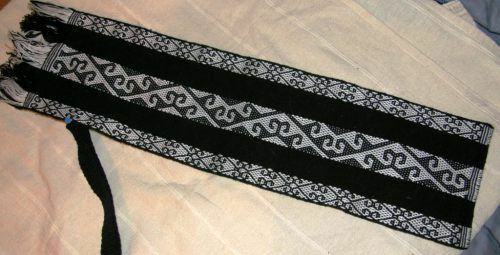 Having learned the discontinuous-warp, or ticlla, technique with weavers from Pitumarca, I used the particular tubular band pattern used by weavers in their community to edge my workshop piece when I got home and finished it. You can see how the edges of my cloth rolled when I took it off the loom. This was due to the high amount of twist in the handspun alpaca yarn that we were given to use. The cloth lay flat once the tubular band was applied. Of course, I didn’t spend my entire week on this one tubular band. 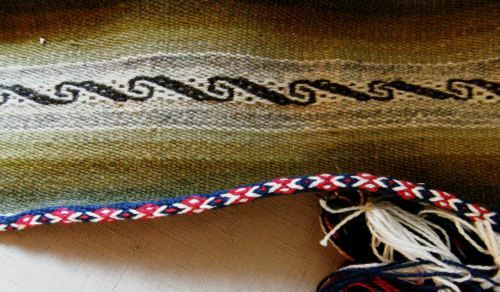 As the title of this post implies, I was braiding and thinking…..braiding the enormous number of ends on my wall hangings at four minutes per braid. There are still plenty more to go. 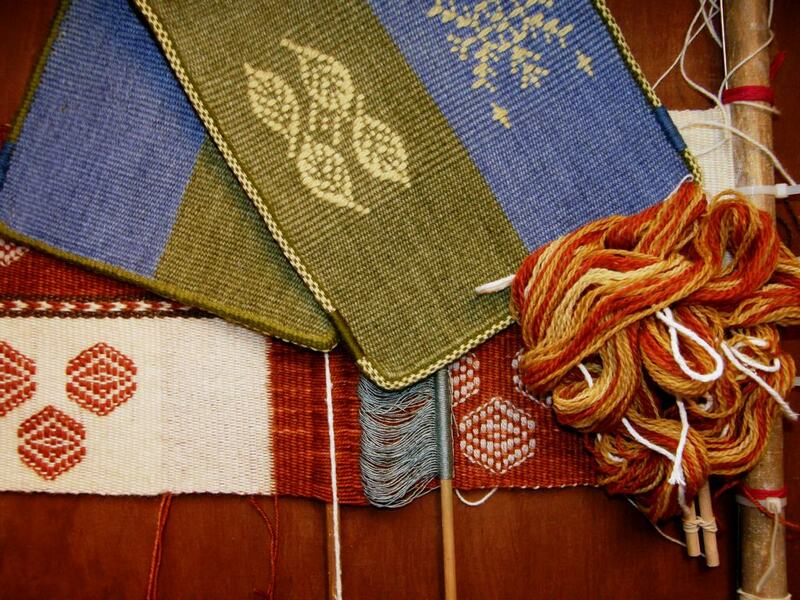 And I was thinking about the shapes I want to weave on my next ikat ”sample”. Yes, I don’t feel ready yet to dive into the real project. I think that just one more sample with curved shapes needs to be done. I also thought about the new slip cover I need to for my new laptop. This new one is slightly bigger than the notebook I have been using these last five years and so a new cover is needed. It has been on many trips with me. And, while I think, I pull out books, look online and make sketches. While going through the cupboard, I also pulled out a lot of fiber crying out to be spun. Maybe I will also set myself a wee spinning goal for the next months. I will leave you for this week with this final picture of an event which is creating a lot of excitement here in Santa Cruz. We are on holiday today as the Pope is in Santa Cruz where he is celebrating his only Mass during his Bolivian visit. BoA, the Bolivian airline that transported him, has been posting pictures of the visit on Facebook and kindly gave me permission to show one here. 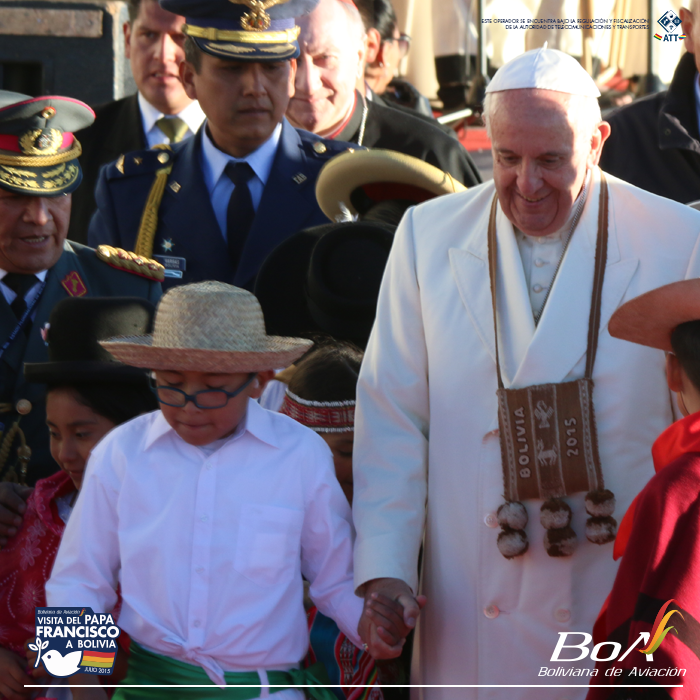 Pope Francisco was presented with a handwoven souvenir of his visit when he landed and walks hand in hand with a boy who is dressed in the typical green and white outfit of Santa Cruz with his sombrero de sao. Бесподобные работы, давно смотрю и любуюсь, стараюсь научиться, к сожалению, нет бесплатных курсов, а за оплату не могу себе позволить, поэтому буду учиться у вас. Спасибо Вам огромное за труд и красоту! I have just discovered your blog. What a treasure. 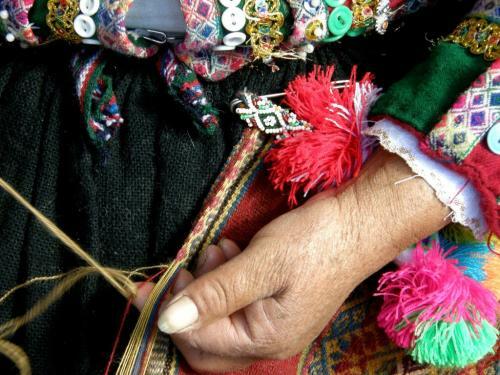 I am fascinated by your weaving and living in South America. 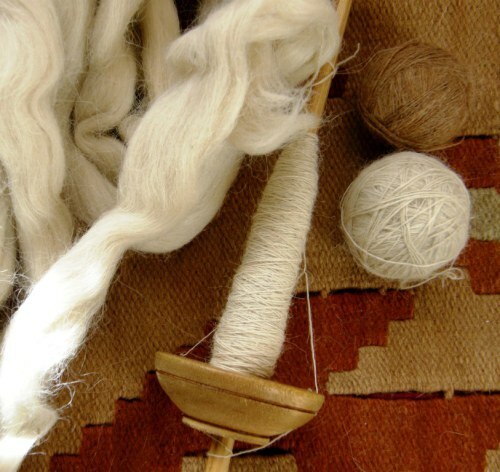 To study and learn the weaving culture and techniques over so many years must surely be rare. I am going to have to start reading your blog from the beginning. Last year I spent a couple of months in Peru and learned to weave on a floor loom in Huancayo and learned back strap weaving in Chinchero. It nearly killed my back, but I will buy your book on Patternfish so I can follow your instructions to do it on my rigid heddle. That will be much easier on my back. I spent only a week in Bolivia and would love to return and spend more time there. I visited two beautiful textile museums there. One in La Paz and another related museum in Copacabana called the Poncho Museum. I noticed that the Bolivian textiles seemed, to my inexpert eye, much more complex, pictorial and finely designed than the Peruvian textiles. 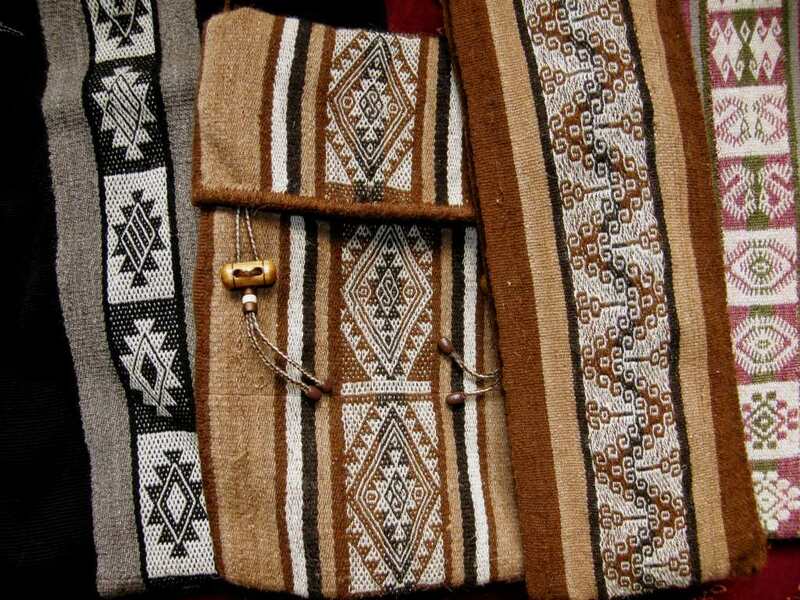 I absolutely love Peruvian textiles as well and I was surprised to observe the finer work in Bolivia. Maybe there is a different focus or idea of beauty? Hi Laverne: I actually know how to do the ñawi awapa (or I did 20 years ago) from a workshop with Ed Franquemont. How does the other kind of edging differ? It’s not quite clear to me from your photos. It’s a different pattern, Berna.If you are familiar with the Chinchero pattern with its two staggered ”eyes”and look at the red, white and blue example I show, you will see that the pattern is not the same. AHA, I think I see the difference now. The ñawi awapa has staggered “eyes” while the red, white and blue example has connected horizontal zigzags. Thank you again for a wonderful post. Ah, the stories of the “interesting” fiber we once spun.
. First problem, Boarder Collies don’t have much undercoat so the raw hair was very hard to spin. Three cheers for stash! So I found some wool that had the same heathery look, blended the wool and dog hair together and completed the project. I sneezed and itched through the whole project. Spinning and knitting and blocking stunk up the whole house but I completed the project and collected my hay. The old man was thrilled with his hat, even though I have it on good authority that that hat always smelled like dirty dog when it got wet. Fortunately the old man had no sense of smell, unlike his son who spent a far amount of time in the cab of a trunk with his Dad and his hat during the rainy season (since son ordered the hat in the first place I thought this was just poetic justice), I, on the other hand still have a shiver go up my spine every time someone asks about spinning with dog hair!